Is your vehicle ready for the annual MOT? Preparing for the yearly test of vehicle safety, road worthiness and exhaust emissions can save you the stress, effort and expense of having to get it fixed when the results are in. Same day drop in service, no MOT appointment required. We’ll do it for you! Gilnahirk Tyres and Exhausts offers professional MOT preparation and servicing to get your vehicle in proper shape. It’s typically a day’s work for our experts. We’ll check everything, notify you if there are any issues and fix them as well. Bring your car in, sit back and relax. We’ll have it ready for you by the end of the day. After 25 years of providing top quality vehicle and tyre services in Belfast, we know exactly what to look out for. We go beyond tyres and exhausts to include batteries, brakes and any other tune ups or repairs that you may require. Keeping appointments for the MOT is not always easy. A busy work schedule or family commitments often make it difficult to find the time. You don’t have to worry about taking time off or postpone the job. Gilnahirk Tyres and Exhausts can take care of it for you. 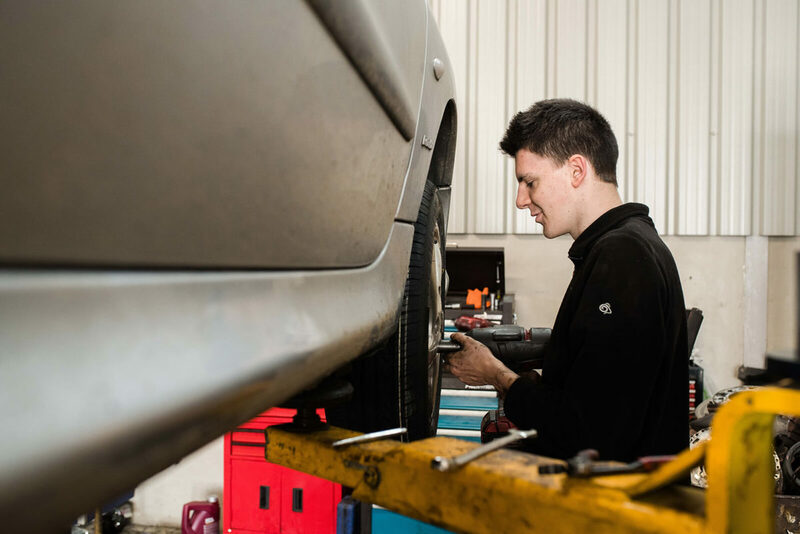 We offer full-service for vehicles undergoing MOT. From preparation to testing and after repairs, you can count on experienced and qualified technicians to meet your needs efficiently. Book an appointment and leave your vehicle car with us before 9 a.m.
Conveniently located, open 6 days a week and offering after hours service, Gilnahirk Tyres and Exhausts is your ideal choice for MOT services in Belfast. Quality work and competitive rates ensure your total satisfaction. Parts and labour come with proper warranties.